Maintaining a home can be a full-time job for anyone, let alone people with jobs, children and pets. Keeping your house clean and tidy can be time consuming and difficult, even the little chores such as washing the windows and vacuuming the carpets can be become hard to keep up with. All these things can lead to homeowners and families forgetting to steam clean their carpets. This might not sound too important, and you might not worry if it does slip your mind occasionally. However, professional carpet cleaning not only keeps your house clean, it also helps prevent breathing problems and allergies and keeps carpets from getting tired and worn. According to the Institute of Inspection, Cleaning and Restoration, homeowners should seek professional carpet cleaning at least every 18 months. However, this guideline is based on the carpet only attracting very light soil, perhaps the home of a professional couple or single person. When you start adding extra people and pets, carpet cleaning is needed on a much more regular basis. The IICR suggests that home with just one pet seek professional steam cleaning for traffic lanes at least every six months, but for large families with multiple pets, this increases to every two to three months. At first you might think that this is excessive, but it is absolutely essential if you want to keep your home in tip top condition. Whilst we love our pets and class them as family members, they can cause trouble to your carpet if you do not maintain it effectively. Pets trap smells, hair, fur, and dirt inside the carpet fibres - and these cannot be removed with vacuuming alone, or dry cleaning. The only way to rid your carpets of the bacteria and particles your pets bring into your home is with professional steam cleaning. There are of course more sinister problems than just dirt and fur, pets can also carry fleas and have accidents around the house. These things are not your animal's fault, and it is up to you as a responsible owner to ensure that you keep your house hygienic. There are plenty of cleaning products lining the shelves of supermarkets that claim they are able to tackle the toughest stains, but they will not produce the same results as professional steam cleaning. These products are not tailored to your specific carpet material, fibres, or the stain, and can even drain the colouring from your carpets. On the other hand a professional carpet cleaner should be able to treat your carpets on a regular basis, ensuring that there are no particles trapped in the fibres. This will allow you to keep your carpets for much longer as they will not wear down as quickly, and keep your home clean and healthy. A carpet maintenance plan really is important for homes with pets so contact your local carpet cleaning company and make an appointment as soon as possible. Carpets are commonly disregarded when it comes to aspects in the home. Windows are cleaned, flooring are radiated, yet a lot of the moment carpets are left out in the cold. The majority of homeowners just feel the requirement to clean them when there's a stain or when they experience frequent sneezing when resting or relaxing on it. Yet how frequently do you truly need to have your carpets cleaned? Carpets that belong to houses typically require much less cleaning, because they are indoors as well as come in call with just a few particles of filth on a daily basis. The demand is reduced if the property owners remove their shoes before strolling on the carpet. However, family members with kids commonly need emergency expert assistance when the youngsters spill something on the carpets. 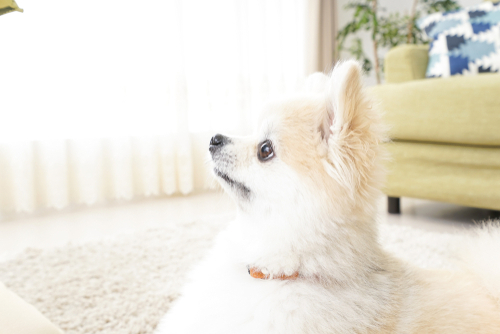 Pet dogs can additionally make carpets a lot more in requirement of professional cleaning. 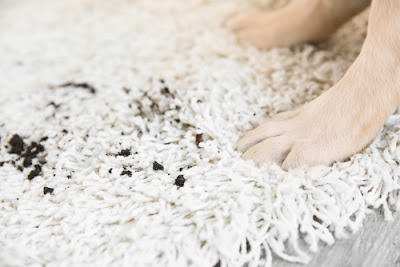 While animal hairs could be eliminated by vacuuming or utilizing Velcro pads, some pets can track in filth from the outside and even dirt themselves on the carpet. Certainly, carpets that are utilized in office and public structures will need much more constant carpet cleaning solutions. When a great deal of shoes pointer on the carpets day in as well as day out, there's no informing where the individuals came from as well as exactly what bits are discovered in the under surfaces of their shoes. Vacuuming is not quite efficient right here as some dust could be stomped down quickly and also it ends up being stuck deep within the carpet fibers. The majority of carpets in public places should be washed a minimum of annually, as well as if they obtain filthy effortlessly. Believe it or otherwise, there is such a thing as over cleaning. If you have the spending plan for it, you could be lured to have your carpets cleaned routinely. But usually, you just should do so yearly or once every two years. Cleaning companies utilize potent chemicals in cleaning carpets and if exposed to these chemicals routinely, carpets can become brittle and discolored. If you're not also certain concerning just how commonly you must have experts care for your carpet, you could ask your trusted carpet cleaning company for guidance. Not only will they clean carpets for you, they will additionally give you ideas that will certainly assist preserve your carpet's quality. The steam cleaning method can also be used to clean stains on the carpet. Some stains like mud, drinks and most fruit or vegetable stains. These stains can usually be easily cleaned with hot water. People who have pets in their homes and want to get rid of the unpleasant odor of their waste should go looking for professional services to eliminate pet odors. Not only this, but the experts can also provide exceptional services. Are you looking forward to taking advantage of the best cleaning services? If so, you should approach a reliable company where all kinds of cleaning needs can be taken care of without damaging your fabric and floors. It is true that experts also find the best cleaning solution for your furniture, and carpets. They understand how important it is to maintain cleanliness in a residential and commercial place. As you know, professionals can perform a task better than a layman, so always approach those who deserve it to get the right results. People who have pets in their homes tend to have more dirt and dust on their floors and carpets. They must contract available services about the elimination of pet odors under the supervision of highly qualified and experienced professionals. People who want to keep their carpets clean will not run out of options. 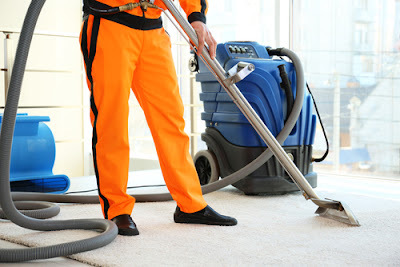 There are a lot of cleaning companies running around to provide exceptional services at very affordable prices. Some people avoid hiring expert services due to budget constraints and if you are also one of them, stop including the level of cleanliness since there are discount offers available. If you do not want to try too hard to hire expert services, these simple tips and tricks will ensure that your home has a fresh scent no matter how many animals you have. Carpets retain the odor of pets. When owners make sure to hire a company that specializes in cleaning to eliminate pet odor, they can be sure that they are one step closer to making their home odor fresher than it used to. Specialized cleaning machines are used to help remove dirt, bacteria and the odor of the material, leaving it as good as new. For complete cleaning, you can use a water vacuum. These special vacuums work like the traditional ones, except that they use clean water to get rid of the stains and then the dirty water is absorbed back into a reserve basin. Any fabric can retain the odor of pets like the carpet. Cleaning the furniture at the same time will help eliminate pet odor, especially if the material is cloth, such as suede. Carpet cleaning companies can usually clean the furniture at the same time they clean the carpet. Each piece of cloth should be cleaned to eliminate the odor of pets. The curtains are usually forgotten, but they should not be. These can retain the smell like everything else. Instead of hiring a carpet cleaning company for these, place them in the washing machine and put them in the delicate cycle to enjoy curtains that smell like Cool Island instead of cats. The litter box of a pet should be cleaned regularly. You can provide a specific time limit because this varies according to the number of pets that are, how often they are outside, and so on. A person who has a cat alone may need to clean the litter box every two days. Another person may need to clean the litter box every day. Scoopable sand can make it easier and more cost effective to clean the litter box daily. Vinegar works very well for this task; It also acts as a deodorizer due to its elimination of odors and antibacterial properties. You can also use mild dish soap to remove the stain and freshen the area. Once you have finished eradicating the stain, rinse with a damp white cloth or paper towel. If the sandbox is the problem, it may be time for an update. There are litter boxes for cats that have individual caps and filters to help keep the cat odor inside the litter box, which is precisely where it belongs. If the litter box is still a problem, it could also be cat litter. Some cats waste absorbs waste and the odor that accompanies them, better than other brands. Take a look at the different brands available and choose a light and adaptable litter that includes additional ingredients to eliminate the odor. For example, there are some brands of cat litter that have Glade crystals that work exceptionally well. Other brands that have similar ingredients will work just as well. Several things can contribute to the odor of pets. 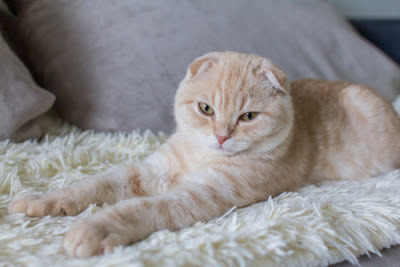 Most of them are the direct result of the owners not realizing that they need to clean all the fabric of the house, or that they do not realize that they need to clean the litter box frequently. An excellent solution to remove pet stains and odors from carpets is to use a professional and experienced carpet cleaning service. These carpet cleaning service providers have the tools and products needed to clean their carpets in the background, which means that waste or debris that is not visible to the naked eye can also be removed effectively and efficiently. 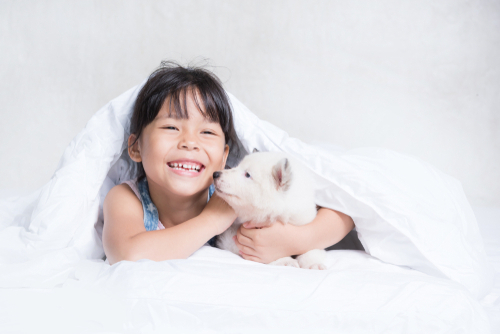 With the help of specialized carpet cleaning services, you can also benefit from the elimination of odors such as ammonia that can cause a bad smell when your pet has an accident on the carpet. Again, they will have the specialized cleaning products and equipment that are required to get rid of these odors, which otherwise may persist and cause real problems over time. You should talk to the carpet cleaning service provider you are considering using to get more information about your experience regarding the removal of pet stains and odors on carpets. Finally, use a neutralizing spray or eliminate the odor of pets to keep things fresh between vacuuming and cleaning. 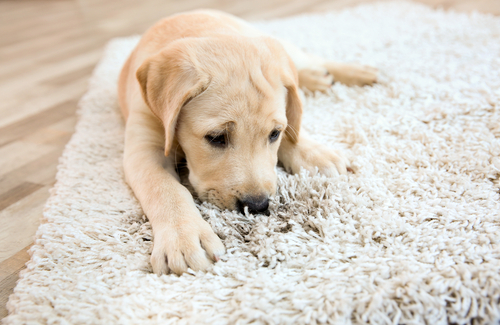 You can also try spraying pet odor carpet rugs before vacuuming to remove unwanted odors. I tried it, and the carpet is free of smells in a matter of minutes! As a business owner, the effects of the first impression that your customers or potential clients get when they visit your office can not be underestimated. 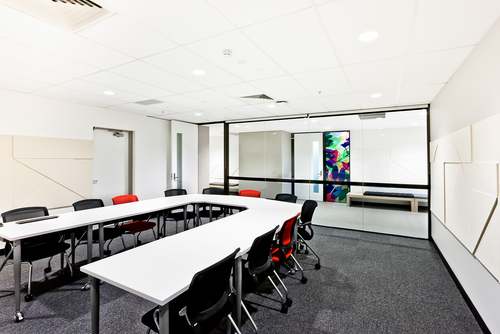 A neat and well-kept office environment is more appealing and welcoming. Apart from creating trust and instilling confidence right from the beginning, it leaves your client with an impression that you are keen to detail. This is why it is vital to keep noticeable components in your office such as office carpets clean all the time. If you have just moved to a new office or need to improve the appearance of your work place with focus on the office carpets then there are several things you need to know. Well, this article covers precisely everything you need to know about carpet cleaning. So, read on to discover more. 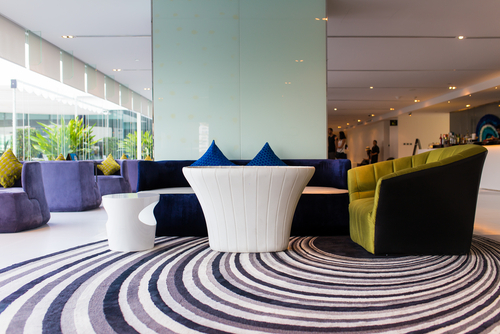 Why Is Keeping Your Office Carpets Clean Important? Despite being the least observed, the effects of having a dirty carpet cannot be ignored. Just like any other business, you need a healthy and productive workforce to steer your objectives. 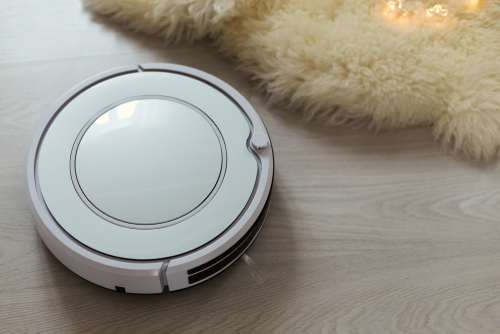 Ensuring you have a clean environment right on your floor is a great way to do so. If your business involves working directly with customers or clients, then your appearance matters a lot. This is because some customers or clients can be turned off by dirty carpets. Even though at times they might not notice a clean carpet, a dirty one hardly goes unnoticed. Little to say, your carpet makes a statement to everyone who comes into your office. By keeping it clean will enhance your reputation and you will create a lasting impression on all your visitors. • Improve The Work Environment For Your Employees. Dust is one of the major causes of allergy. If your office carpet is dirty, then there is a high chance that it will trigger allergic reactions from your employees which might affect them from working well. As a result, the employees could be forced to go for sick leaves thus cutting down the workforce. Sniffing and sneezing will also distract them from concentrating on their tasks. This means that the production is likely to be slowed down which impacts your company negatively in the long run. However, performing deep cleaning regularly will be quite helpful in ensuring that your employee’s health remains intact. If you need to ensure maximum durability of your carpet then keeping it clean is essential. While you might not be able to completely prevent spills on the carpet, cleaning it immediately will prevent stains from developing. Stepping on the carpet with dirt will also destroy its look. However, cleaning it regularly is one of the effective ways of preventing permanent spots and stains. This will enable you to enhance the productive life of your carpet. With regular use, carpets will trap dust and other air pollutants such as mold spores which will contaminate the air in your office making it unsafe. High accumulation of these pollutants will affect your worker’s health through allergies. However, with regular cleaning, your carpet will be maintained free of any potential impurities that make the environment safe for your employees. How Often Should You Clean The Carpet? Time intervals between cleanings differ with respect to the size of traffic that you experience. This is to say that you might need to clean the carper often if you have massive traffic and less regularly if you have less traffic. Nevertheless, cleaning carpets is essential at least once every month. For heavy traffic, it is approximated that you might need between 1-24 deep cleanings every year, up to 4 times a year for medium traffic areas and twice a year in areas with considerably lighter traffic. Accumulation of germs and dirt on your carpet will fasten wear and make cleaning it difficult. However, certain simple strategies can help you keep your carpet in excellent condition and enjoy a prolonged life. But, aren’t they the same? Well, the only difference between them is time. 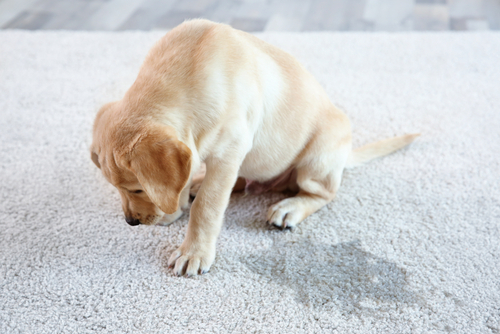 When something is spilled on the carpet, it forms a spot, and if it is not cleaned correctly, it will develop into a stain. So, you should always blot any affected area using a paper towel that can absorb the spill. Remember, rubbing or wiping alone might not be enough to get rid of the spots. Before you start cleaning the carpet, pre-spraying it will ease the removal process. However, failure to mix the chemicals well could result in more damage to the carpet. This is why you should avoid chemicals that might leave your carpet with sticky residues which can accumulate more dirt. Allowing the pre-spray to penetrate before starting the cleaning process will make your work much more manageable. After cleaning it, subject the carpet to proper rising to ensure that no residue is left behind. By habitually cleaning your office carpets utilizing a vacuum cleaner, you can significantly cut dust accumulation. However, not all cleaning equipment are excellent; this is why you should use only good performing vacuums. When deep cleaning, ensure that your carpet remains completely dry to the avoid growth of molds which will damage the carpet. Apart from vacuum cleaning the carpet daily, it is crucial to vacuum it once more before deep cleaning. This will allow you to get rid of dry solid that accumulates on the carpet over time. With timely response, it is possible to get rid of dirt before it causes more damages through vacuum cleaning. Instead of letting your team members clean the carpet on their own, some guidance will ease the process. You only need to make a maintenance plan and supervise them before they master the process. The appearance of your office carpet affects the reputations of your business. A well-kept carpeting is an indication of professionalism and builds trust among your visitors, while dirty carpeting demoralizes both your employees and visitors. Considering that keeping it clean regularly is not quite tricky, it is the best way to ensure that you portray the right image of your brand. This guidance is handy, and it will help you keep your office carpets clean. Most pet owners spend lots of time and money on their pets to keep them healthy throughout their life because they love them very much. For this reason they take care of every possible thing that can cause health problems to their pets. They usually try their best to keep their pets away from such things. Though their efforts are appreciable but sometimes certain basic things are overlooked to be cleaned like dirty carpets in the home etc. Such things can be very detrimental for the health of their pets. If you are searching for the health hazards for your pets due to dirty carpets then you should go through this write-up as some risk for pets of not cleaning carpets are briefly discussed in it. Digestive problem: One of the main problems caused by not cleaning carpet is the ingestion of decayed food spread over the carpet by the pets. 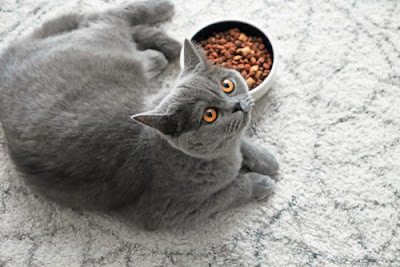 The pet owners will have to face this problem due to their own faults as the food was dropped on the carpet by them and is allowed to decay by not cleaning it as soon as possible. But by eating that decayed food their pets will have to bear serious health problems like vomiting and digestive problems along with several other complications. The homeowners as well as pet owners can avoid such situation by cleaning the carpet as soon as the food is dropped on it otherwise it can also damage their carpet along with causing health problems for their pets. Skin infection: actually any kind of dust and dirt on the body of pets can cause skin infection to them. They can get lots of dust and dirt on their body if you have a dirty carpet in your home. This dust and dirt in your carpet can cause various types of skin problems to your pets including infection and irritation etc. after sticking to their skin. Moreover, you cannot keep your pets away from your carpets, whether they are cleaned or not, as they are among their favourite resting spots as they feel more comfortable on them. Irritation due to bad smell: When your carpet remains dirty for long time then it emits bad smell which can irritate your dogs and cats more effectively and earlier than humans as their smelling sense is more powerful than humans by nature. Humans may not be able to smell these odours as they have less sensitive smelling sense. Moreover dogs and cats start feeling bad when they smell a rotten or bad odour. This bad smell can also irritate your pets. You may not recognise the actual cause of their irritated behaviour unless you consult an expert in vet problems. Infectious diseases: Your pets can get infected with various infectious diseases when they will have to continuously remain in contact with so many bacteria and microbes residing in your dirty carpets. Along with your pets these microbes and bacteria can also infect you with various health problems. But you may not expect any complication from your dirty carpet but your pets can get sick after being infected by your dirty carpets. Most of the pets and pet owners may not want to face such situation in their life time but will have to face unless they clean their carpets well in time. Sickness: Like humans pets also get sick after getting infected with some infectious diseases caused by your dirty carpet. They will have to face various complications due to such sickness along with getting hurt badly due to it. You will have to spend lots of time and money on your pets to treat them after getting sick as you will have to take them to vet hospital and buy medications for them. Moreover, in severe cases your dirty carpet can be fatal for your pets as they may die due to infectious diseases caused by it. In this way you will have to bear financial losses in two ways. On one way you will have to spend on treating your pets and on the other on cleaning you carpets to prevent recurrence of the health problem to your pets. 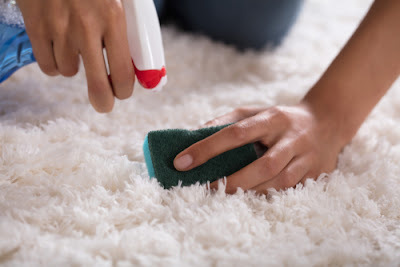 Allergies: Sometime professional carpet cleaners use chemicals for cleaning dirty carpets but fail in squeezing it out completely and properly. As a result lots of dirt and dust remain in your carpet even if you have got it cleaned. This dust and dirt as well as chemical in your carpet can also cause various types of allergies to your pets. They can also create very complicated situation for your pets as they are more sensitive to the chemicals along with dust and dirt than humans. Thus, it can be said that dirty carpets can also cause various types of complications for your pets. Infection to pet owners: Your dirty carpet may not infect you directly. But when you have pets in your home infected by various diseases and complications caused by your dirty carpets then how you can be spared of them. You will also be susceptible to any health problem born by your pet if it is infectious for humans also. 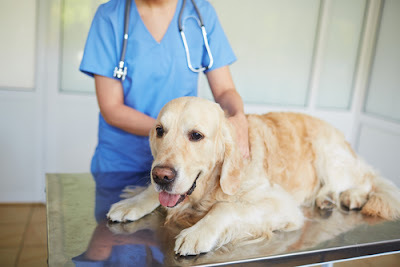 In fact, many times initially you may not be able to recognise that your pet is infected by certain infectious disease unless the problem gets aggravated. And by that time you may also be infected with that problem. In such condition you will have to take care of health problem of two units - yourself and your pet. It can also increase health risk for your pets as you may not be able to take care of them unless you get well. Thus, to avoid such complications and health issues you are strongly advised to always keep your carpets clean as much as possible and as soon as possible. Any delay in cleaning your carpets can cause various health problems especially for your pets as they are more sensitive than you. So, to keep yourself and your pets healthy throughout the life you should clean your carpets regularly and frequently, without waiting for a health problem to come. There are a few carpet cleaning techniques utilized today by different expert carpet cleaning organizations and families. Each sort of cleaning has its own favorable circumstances and inconveniences. in this article we will talk about carpet cleaning pros and cons applying different methods. Wipe out all tidy, microscopic organisms, microorganisms, infections, allergens and different contaminants. Carpets, as a rule, contain numerous awful things in their filaments and the fundamental vacuuming process isn't sufficient to dispose of these contaminants. Notwithstanding washing your carpets with various kinds of cleaning items may not be exceptionally effective. Then again, experts utilize eco-accommodating cleaning items that are exceptionally powerful and can totally expel all the tidy, microbes and polluting influences your carpets may contain. These superb cleaning items likewise evacuate different sorts of headstrong stains and smears created by different fluids, drinks or sustenances. Another justifiable reason motivation to professionally clean your carpets is to ensure your wellbeing. Did you realize that the clean of extremely filthy carpets can make you build up a cardiovascular infection in the long haul? In the event that you have somebody in your home who has asthma, his condition will intensify in a couple of months or even weeks on the off chance that he is always breathing in air that contains a ton of clean and polluting influences from your carpets. Likewise, the allergens contained in exceptionally grimy carpets will make you and your relatives frequently wheeze, heave and hack. Likewise with every single other thing in your home, on the off chance that you don't legitimately tend to your carpets now and again, their life expectancy will be essentially abbreviated. In the event that you have extremely costly and lovely carpets, this can be a disaster, as you will just appreciate them for a couple of years or even a very long time rather than a lifetime. On the off chance that you truly think about your dearest carpets since they help to outline your property, ensure you utilize proficient cleaning administrations and you won't think twice about it! Additionally, an intensive cleaning process broadens the life of your carpets as well as makes them more alluring and eye-getting. This is on the grounds that once all the tidy and flotsam and jetsam are expelled from the filaments of your carpets, the common hues and subtleties will be obvious from each point, and they will enormously upgrade the inside plan of your property! Likewise, your carpets have a spotless, crisp smell, as offensive scents are killed by careful cleaning. Essentially, carpet cleaning methodology can be characterized into one of two classes: wet cleaning or cleaning. The wet cleaning includes the expulsion of high temp water and cleaning with a suction cushion. 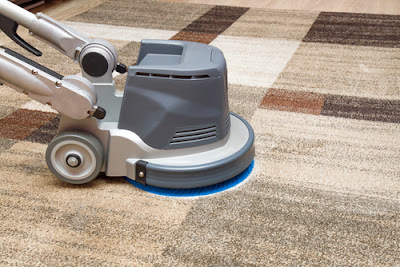 When cleaning dry carpets, utilize concoction powders or froths connected by exceptional machines with counter-turning brushes, cushions or barrels. The carpet is first preconditioned with a concoction reagent to saponify or condense any dirt and oil-based substances that might be available. Water at a temperature close to its breaking point and a weight of 50 to 500 psi is then infused into the carpet and after a reasonable living arrangement time (for the most part 10 to 15 minutes) the subsequent arrangement is removed with a vacuum of 5 to 14 inches Hg. • Gets soil from profound into the carpet. • Allows the utilization of high temperatures, weights, and substance concentrates. • Allows expanded living arrangement times for the response of cleaning solvents. • Chemical reactivity, encouraged by development with a care device or extraction pole. • This is the technique regularly suggested via carpet producers and mechanical cleaning specialists. 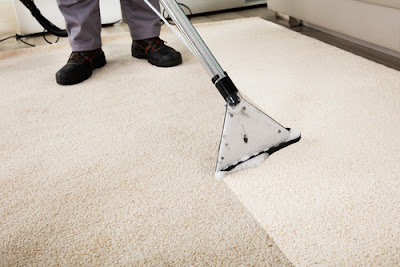 This technique, normally known as cap cleaning, is most usually utilized for routine light support but at the same time is utilized for general carpet cleaning. 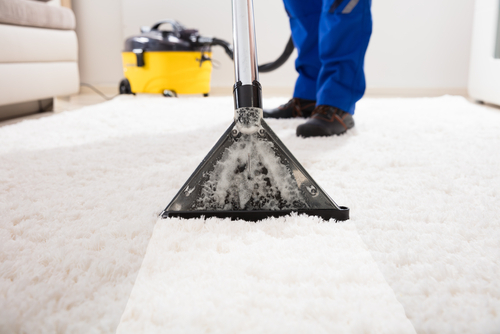 The carpet is first vacuumed and after that, a compound arrangement is splashed on it with a hand pump or an electric sprayer. The arrangement may stay on the carpet for a reasonable abide or response time. The retentive cushion or hood, which resembles a towel, is put on the drive piece of a turning floor machine and spun over the carpet surface at 100 to 300 rpm. This measure serves to impregnate the carpet filaments with the compound arrangement and afterward to take up with the floors. • Excellent outcomes on somewhat grimy carpets. • Cleans just the best third of the carpet strands. Unfit to achieve further. • Leaves soil and chemicals on the carpet close to the surface. 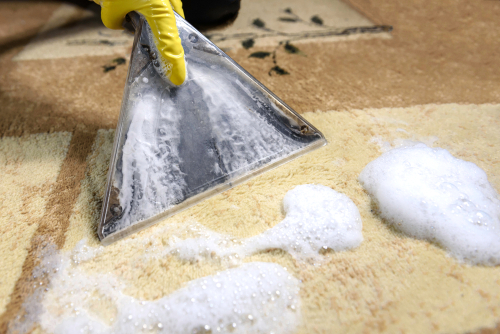 A powder blended with exceptional solvents and cleaning operators is spread over the carpet and worked into the filaments utilizing an uncommon machine with counter-turning brushes. The powder assimilates the soil and can be put on the carpet for 10 to 15 minutes and afterward vacuumed. • Very straightforward framework. No exceptional specialized preparing required. • Very quick drying. Around 20 minutes before the carpet can be returned to benefit. • The powder can be caught in extravagant heap carpets and develop after some time. • Usually causes excessively tidy in the indoor condition. A frothing surfactant is connected to the carpet to frame an answer or suspension of soil, and after that, it is beaten into a froth and joined into the carpet strands with the turning brushes of a specific machine. After a short habitation time, the froth is removed with a vacuum. • Fast. Simple to apply. Reasonable. • Excellent development with these pivoting brushes. • The little measure of dampness permits fast drying of the carpet. • No intensive soil extraction far from anyone's regular field of vision surface can be accomplished. • High temperatures are typically not come to. • Excessive wetting conceivable in the event of the breakdown of the gadget. • Brushes can harm carpet strands, particularly in the event that they are new. You will be all around encouraged to check these upsides and downsides before choosing which technique to clean your carpet with. Maintaining the carpet properly can greatly maintain the longevity of your carpet and reduce the cost of replacing it more frequently. There are four key steps to keeping your carpet clean and not having to replace it so often. Preventive maintenance, daily maintenance, quarterly or semi-annual procedures and restorative care will help make your carpet look like new. Following these four steps on a regular basis will save any homeowner or commercial business much money in the long term. Preventive care is simple and easy to care for any carpeted building or homeowner. Preventive maintenance is as simple as having the proper doormats and entrance mats throughout the structure in any entrance area. When shopping for a doormat, make sure you have the proper material to attract the most dirt. Cleaning the doormat regularly by removing it will help attract the most dirt. Outdoor entrances should also be swept on a regular schedule to ensure that the least amount of dirt enters the building. Sweep the outside area as many times as necessary and try to wash it outside the entrance twice a year. Routine maintenance of the carpet is essential for the longevity of the carpet. 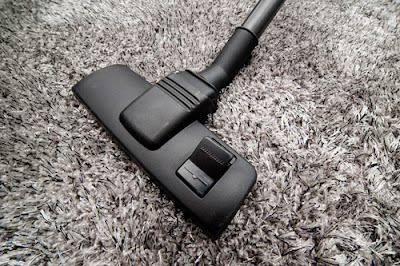 Thoroughly vacuum all carpets in any building or home as often as possible based on traffic patterns. 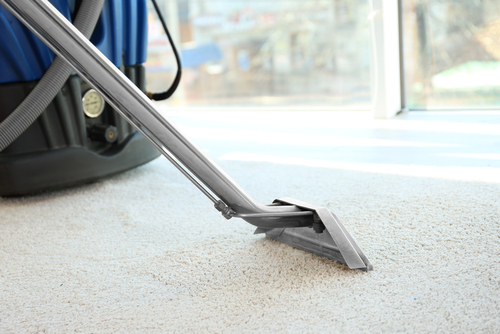 Vacuuming as many floors as possible will help you keep your carpet cool. Use a professional vertical commercial vacuum cleaner and try to vacuum in various patterns to agitate carpet fibers and release as much of the dirt as possible. Routine maintenance also involves immediately removing any cool spots or spills. Treating recent stains with the proper cleaning method will help keep the entire carpet looking healthier for longer. Quarterly or semiannually, consider the possibility of encapsulating or performing a powerful lifter of hair lifters on your carpeted area. A hair lifter is a powerful unit that has a very high suction power. The strength and strength of the brush will raise the deeper floors of the carpet. The New Hydro-Force stack elevator or similar unit has a fast brush speed that helps keep carpeted areas cleaner and more attractive in the long term. This is also ideal to perform before removing the carpet to carry everything dug in dry soil to the top. The encapsulation of carpets with a multiport rotary floor machine or something like this will also help to maintain the life of the carpets and is easy to perform. Semi-annual steps like this will keep the carpet cooler for longer. Annually, a widely used carpet should have been professionally extracted with hot water. Previously spray the area of ​​heavy traffic first and possibly shake it on the carpet with a brush to allow a complete extraction. After a carpet is removed professionally, putting a protector on the carpet will allow spills throughout the year to be easy to treat. Proctor carpet sprays are not very expensive and will keep commercial and residential carpets longer. the carpets annually. Homeowners or commercial buildings that follow these procedures will have a healthy-looking carpet that will last a long time. The cleaning of carpets is one of the main domestic tasks undertaken by professionals in programmed lands to maintain a healthy environment. Oriental cleaning methods leave the carpet gleaming, unbleached and with a smooth texture. Eastern cleaning methods apply reasonably strong organic and natural organic solutions throughout the cleaning process. Several companies offer carpet cleaning services and are experts in cleaning all types of carpets, whether silk made or hand-woven and always leave them properly disinfected with natural organic solutions that ensure the safety of the whole family. These professionals clean all the carpets in different ways and, in case they clean the house, they return it to the client free of charge after finishing cleaning it. Cleaning is as important as any other homework that needs to be done at home because the dust accumulated on carpet fibers can cause illnesses such as asthma and allergies and, therefore, you have to make a schedule to clean your carpets, either an office rug or a house rug. The organic substances for carpet cleaning make the carpet durable and those who want to keep their carpets for a long time should always use these natural organic solutions. To ensure proper cleaning of your carpet, you must first vacuum it, as this will remove all invisible particles from the ground. The next step is to remove the dust and shampoo from the carpet with natural organic solutions and then dry in the sun. Later, using a brush one removes the remaining residues on the surface of the carpet and delivers it to its owner. The people who take care of the regular cleaning of the carpets should always make sure to remove the dust from the carpet frequently, at least to maintain its cleanliness to some extent.